This is ridiculous. 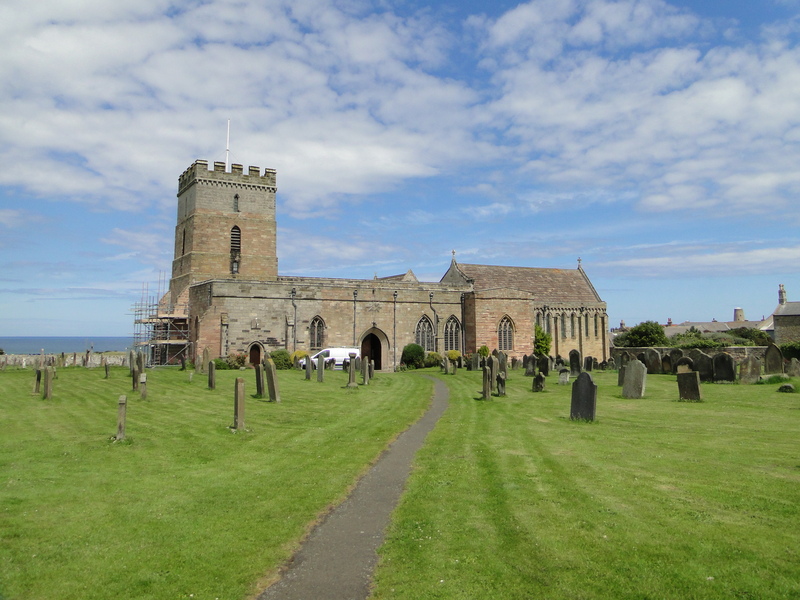 I visited St Aidan’s Bamburgh on Friday 1 July with a smashing trip to the Castle and Grace Darling Museum organised by Ponteland Local History Society – many thanks to John et al. It is now 10 August and the blog has not been written. I read the guidebooks and was going to do a decent, detailed blog discussing saints, architecture, etc. – but instead I’ll do something simple. At least I’ll get it done. 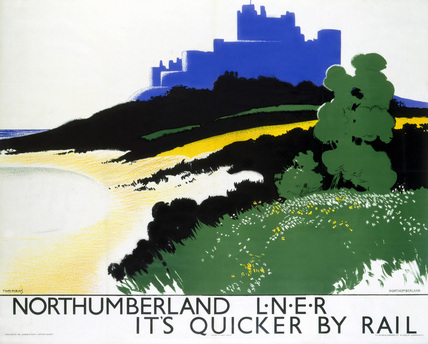 Let’s start with a railway poster. It was a beautiful afternoon and the church looked gorgeous, as did the sea. 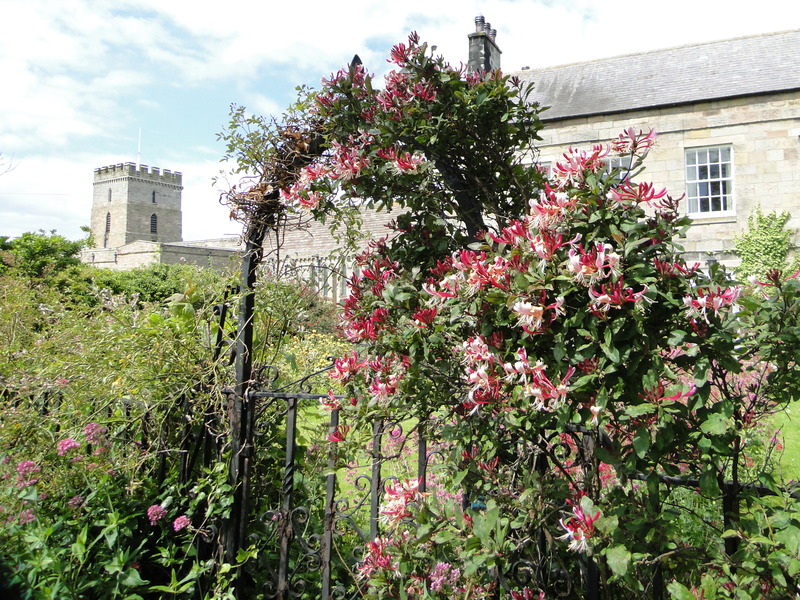 We started with Grace Darling’s tomb – and, later, the GD museum across the road was well worth a visit – I liked the lighthouse model. It’s only when you read the story you realise how busy the coastal shipping lanes were in those days. 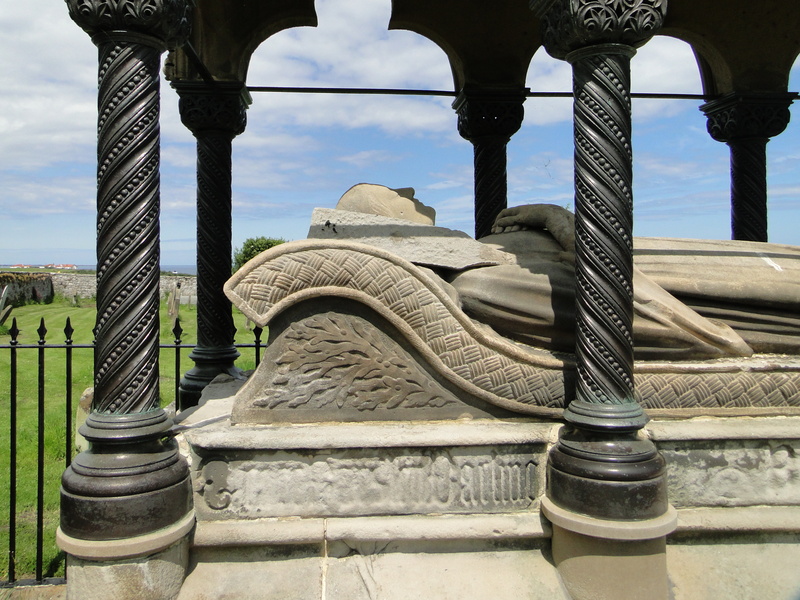 Inside is the burial place of Aidan – an Irish monk sent from Iona on the request of King Oswald, whose palace was here in Bamburgh. 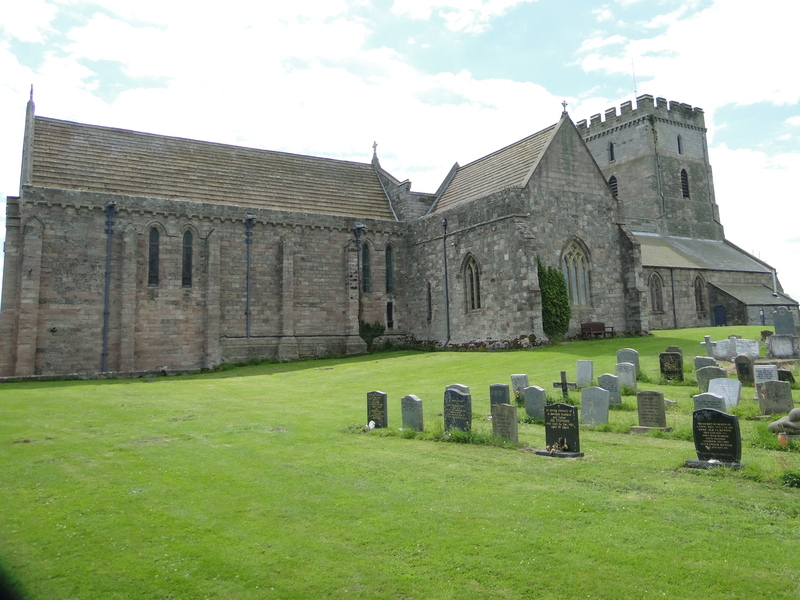 Aidan set up his monastery just across the bay in Lindisfarne. 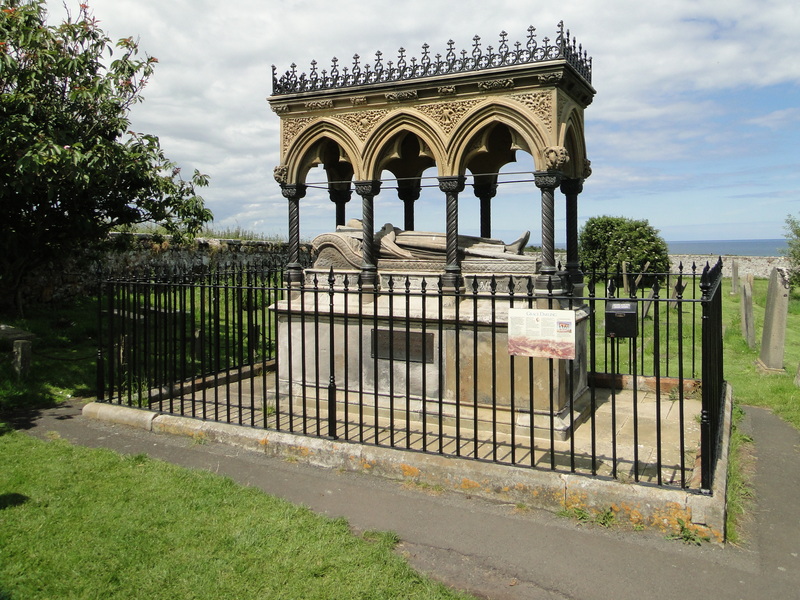 He died in 651 after 16 years as Bishop – I failed to get a decent photo of the memorial. 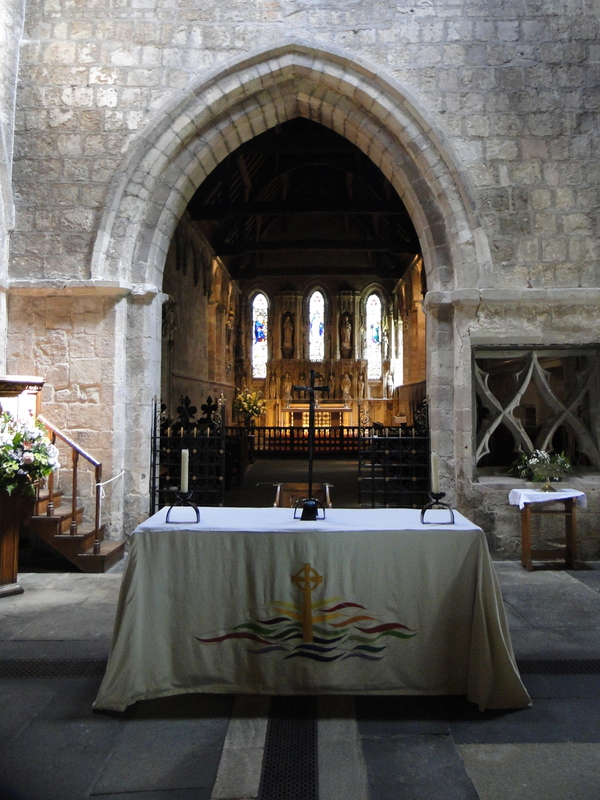 Indeed, looking at them now, my interior photos of the church are pretty naff – I think we’ll have to have another visit. Let’s just include this one for now. Outside the north side is fascinating – how does it all link together? – and the honeysuckle next door was lovely.